The Signature Bag is a stylish handbag, which can also be converted into a diaper bag as and when required. All changing accessories, such as changing mat, insulated bottle holder and stroller attachment are also available in the same design. 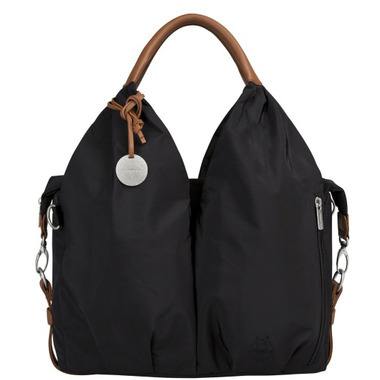 Its spacious interior ensures this bag model not only looks good, but is also very practical. As well as a well-organized main section, featuring two side mesh pockets and a large side compartment, there are also four further compartments. The ideal storage for everything you need ready to hand at all times, such as handkerchiefs, lipstick or parking tickets. The integrated key ring means that the never-ending search for keys is finally over.